1976 NOS 7-Up 16oz glass Bi-Centennial Bottle!! There were different designs from this series and as you'll see in the pictures this bottle features the bald eage. This bottle has no cracks or chips and has never been opened. 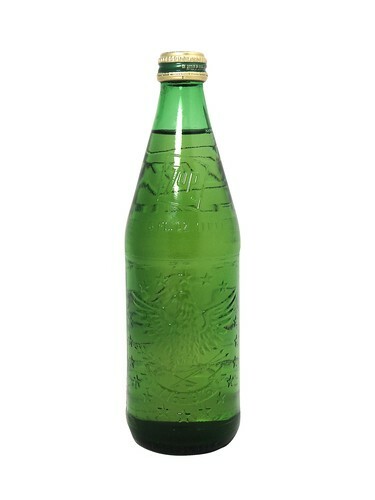 This bottle was bottled by the 7-Up bottling company in Las Vegas. If there wasn't a few scratches on the crown this bottle would definitely be in mint condition. Bottle measures 9" high and about 3" wide. Hard to believe this bottle is 38 years old and is in such great shape! !